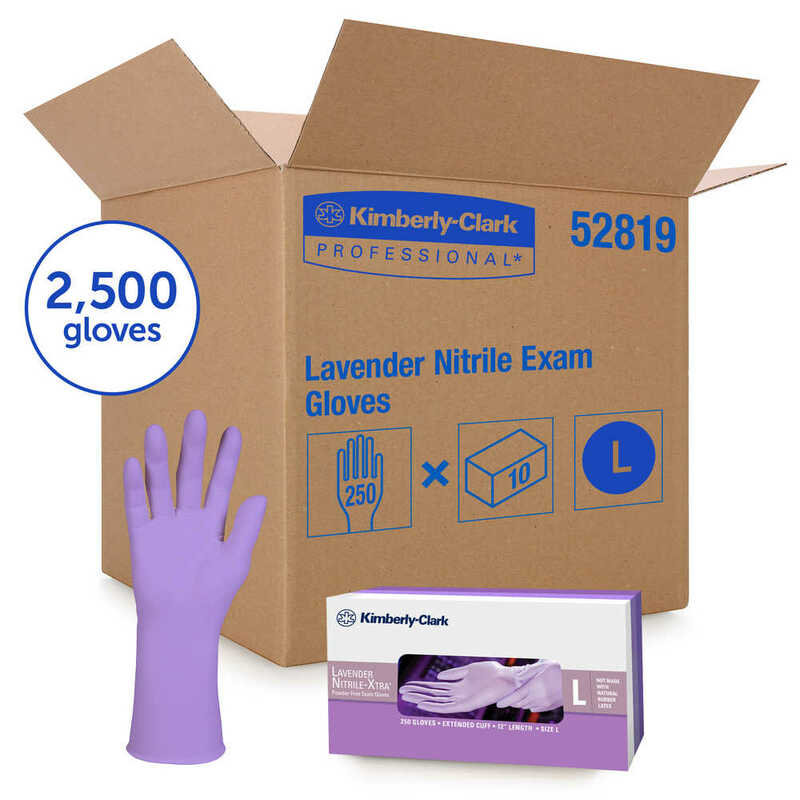 Your search for a comfortable protective exam glove with exceptional value is over, thanks to Kimberly Clark Lavender Nitrile Exam Gloves. 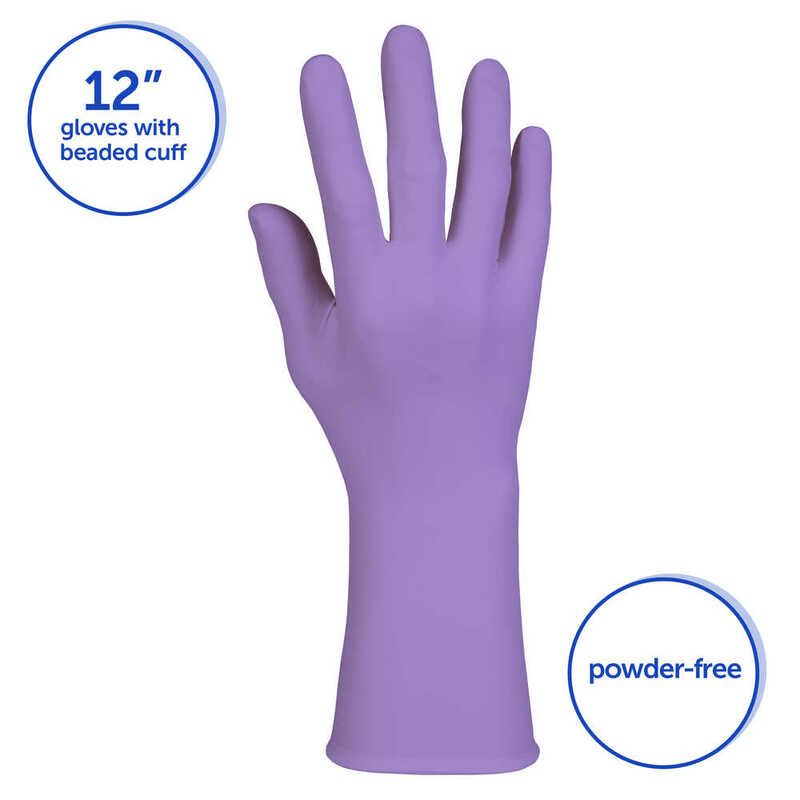 These reliable, easy-to-wear gloves are more economical than standard nitrile gloves and are suited for a wide variety of tasks. 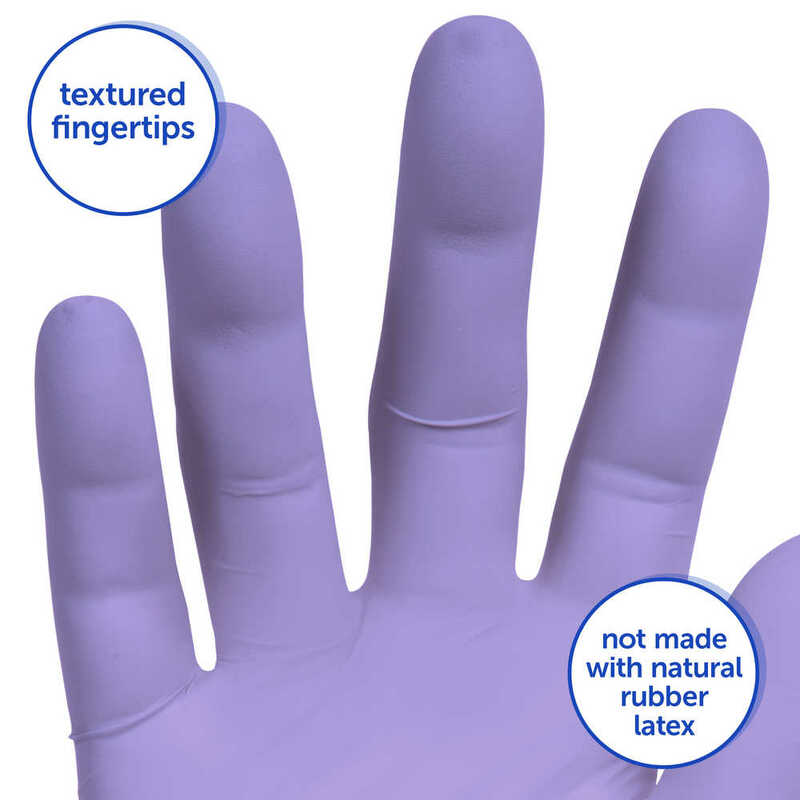 The lavender nitrile gloves deliver enhanced dexterity, thanks to textured fingertips, and are not made with natural rubber latex. The gloves are static dissipative in use. They come in an innovative dispenser box, which incorporates two separate openings. 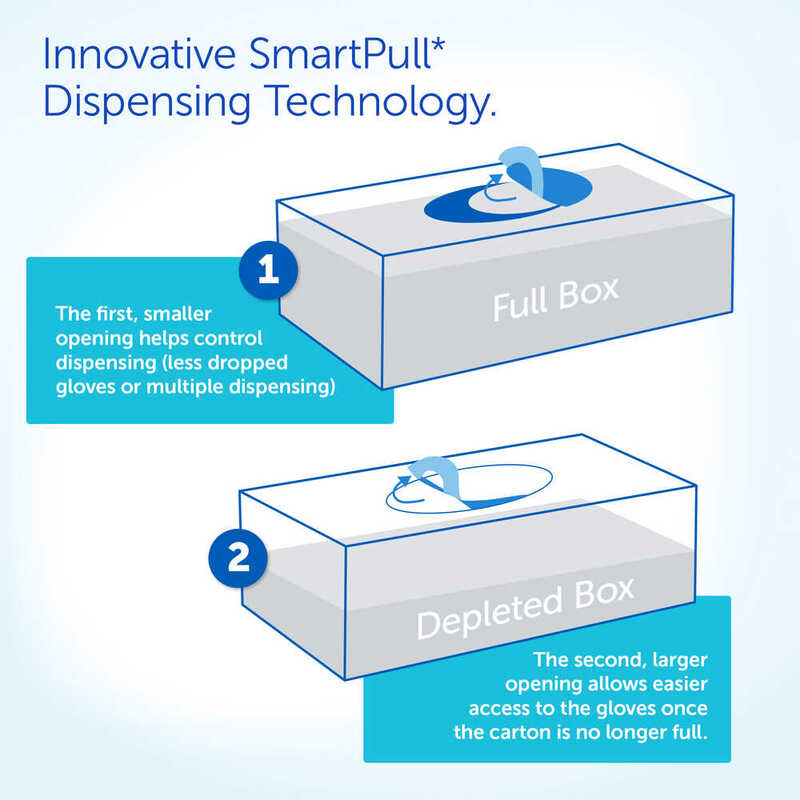 The first, smaller opening is used when the box is full and helps control dispensing to lessen waste from dropped gloves or multiple dispensing. When the box is half empty, the second, larger opening allows easier access to the gloves. 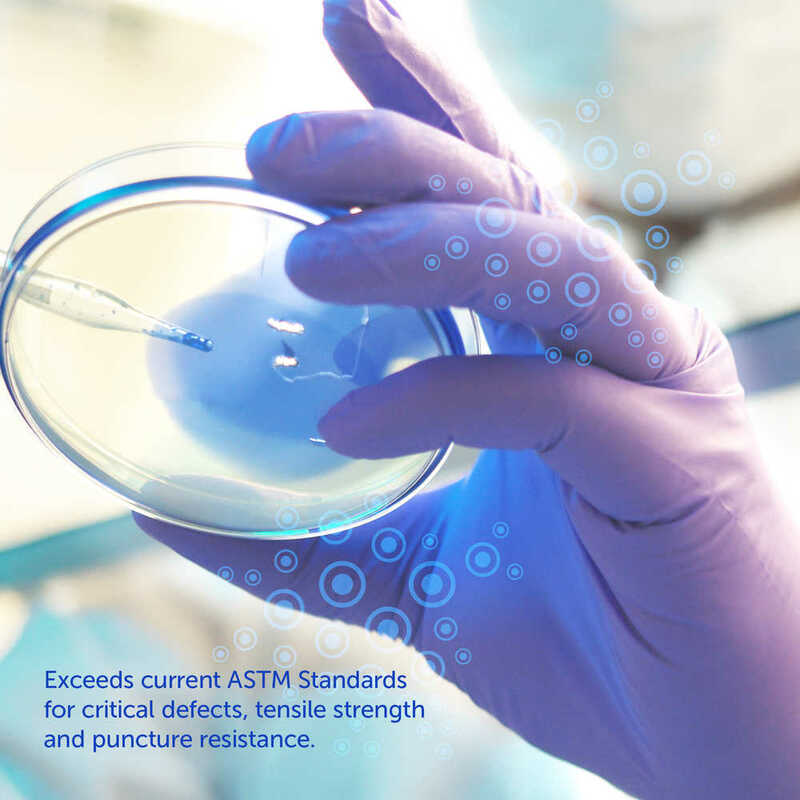 They have an AQL of 1.5 for pinholes and can even be recycled with the Kimberly Clark Professional RightCycle program, the first large-scale recycling program for nonhazardous lab and cleanroom waste. 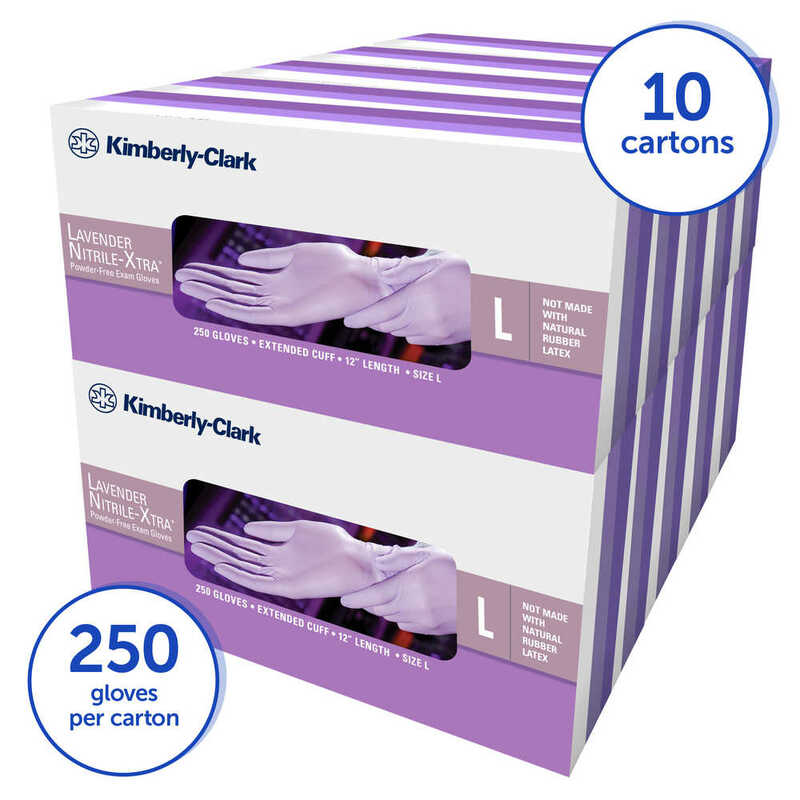 Kimberly Clark Lavender Nitrile Gloves can be an important piece for creating a more efficient, responsible workplace.